Monterosso al Mare is one of the most picturesque towns in all of Italy. It is home to a castle, cathedral and a beautiful beach. For many adventurers, Monterosso Italy is the departure point for the spectacular 12 km hiking trail that runs down the Cinque Terre coast. It is strongly advised to book your accommodation well in advance, particularly if you plan to visit Monterosso during the summer months. 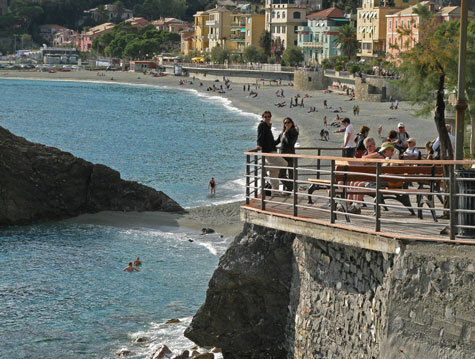 Monterosso al Mare can be reached by train from Genoa, Pisa and other Italian cities. A ferry service that connects Monterosso to the other towns.